This wooden Wayang-lamp is in fact a vertical holder for an oil-lamp used during a Wayang-kulit performance. Attached to the two holes at the bottom is a small oil-reservoir, in which a fuse is set on fire. The flame enlightens the wayang kulit puppets which are handled by the dalang behind a screen.The spectators in front of the screen see only the shadows of those puppets. 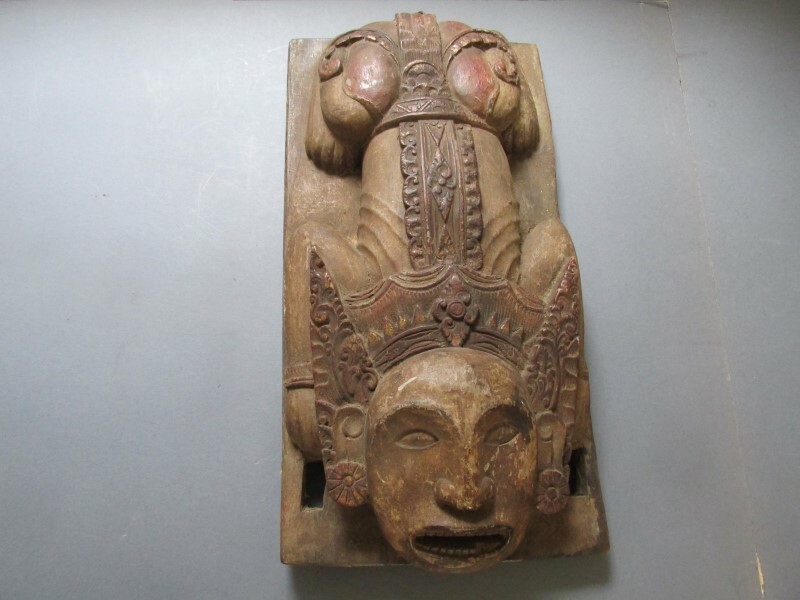 The upstanding wooden holder has the shape of a fable animal with a human face as a balinese dancer. Pls click on the photo to get more info and photos. The last two photos show two other examples of such a wayang lamp-holder.